Nice high gloss white female mannequin with sculpted hair and face. Ready for your glam area displays. 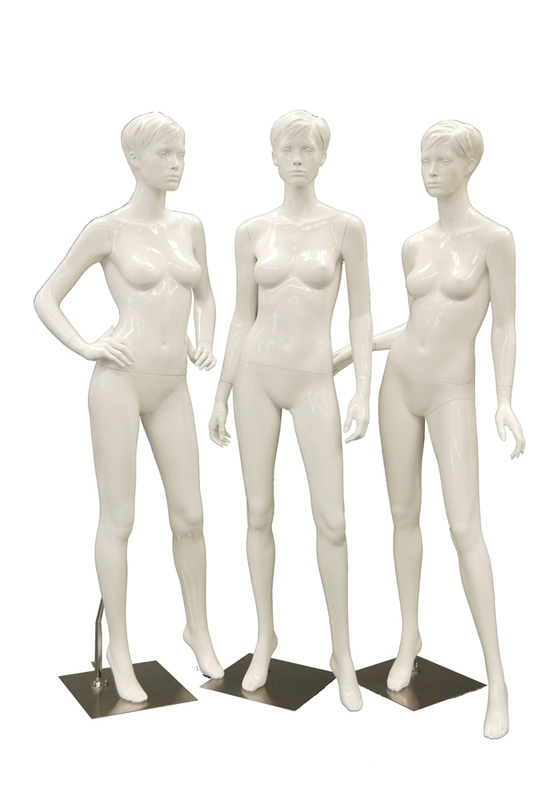 With hand on hips and attitude this glossy female mannequin is ready to dress up! Arms and leg removable for easy dressing. Made in fiberglass comes with stand and two supports. Use either calf support or a foot support depending on you shoe selection.